Designing or improving your home should be a creative, artistic and interactive process. Our team uses a design approach that allows a creative collaboration between designer and client that results in a home reflecting your lifestyle and taste. We consult with our clients and listen to their needs while understanding that each project is as unique as the customer. As part of this step we believe in hand-drawing various options in style and program. At the completion of this step the client will have a set of hand-drawings that we call the "Schematic Design". 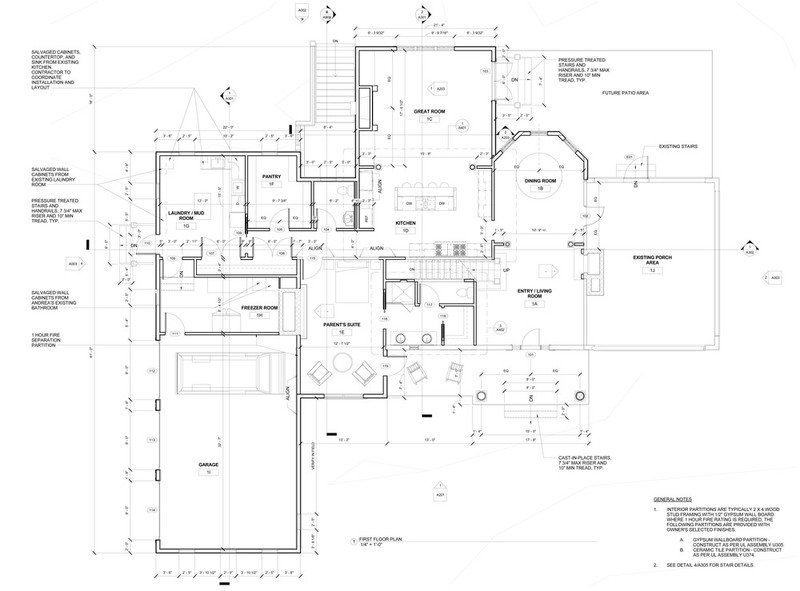 The Schematic Design drawings can be used by contractors to determine the final scope of work and estimate costs. With a meaningful idea of the program, the style and the budget, we move to the "Design Development" (DD) phase. Here we refine the design and project details are created. We collaborate with the customer on important decisions, such as, finishes, window selections, and door selections. These details are captured in computer-based tools (i.e. CAD). Once DD is completed, we typically coordinate with structural engineers. Finally, we prepare the Permit Documents and you are ready to build your dream. Gormley Designs, LLC partners with Studio 50 Design and together our team specializes in residential projects for new and existing homes. Through collaboration with the client and design team, vision is transformed into a refined reality.